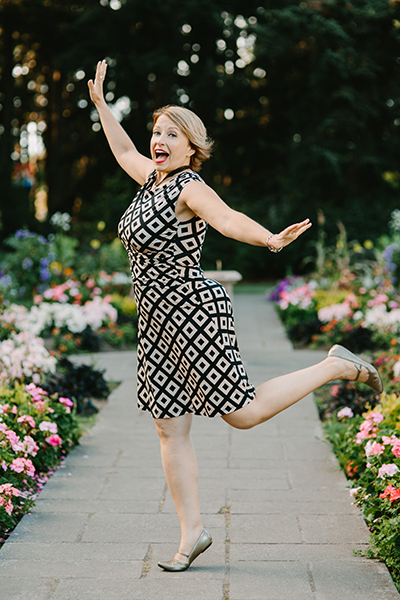 I’m Jen Lang and I work with independent, savvy, business owners who want to sound confident on their podcast and video, connect with their growing audience, and express the truth in their message. When you work with me you get access to my enormous toolbox of voice training and communication techniques honed from my Master’s degree in Voice Performance, years of teaching and performing singing, working in communications, and a bonus of over 20 years of yoga and martial arts practice. I work with you and your voice and message from a body-centered perspective. You may feel a little uncomfortable at first as I ask you to connect with your breath, to make funny sounds like sirens, or to read an excerpt from a book out loud. I may ask you to lay on the floor and breathe as practice. Or I may ask you to pretend you are shouting at a friend across the street to get their attention. After a career as an opera singer, vocal instructor, as well as a communications and marketing team leader, it’s reasonable to say I am well versed in how to use our voice and how to communicate. I can get the best of your voice and your message.